You want to dine by the water. We’re here to help. 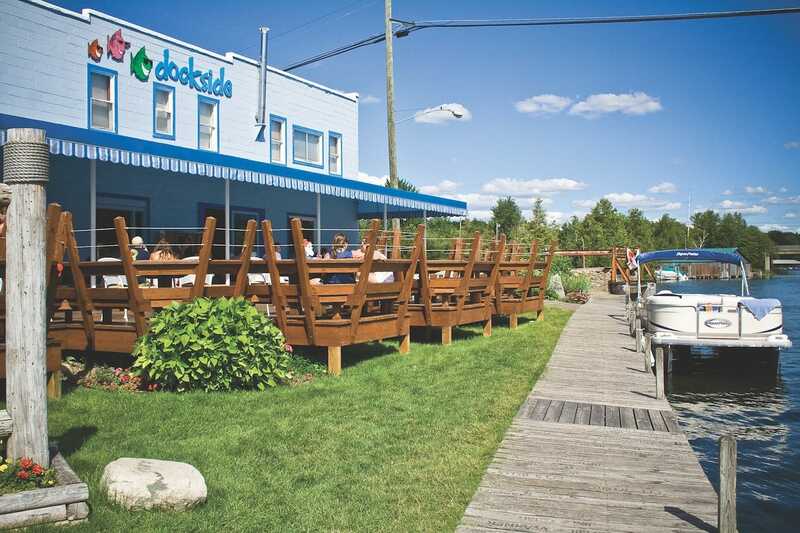 Make a reservation at these Northern Michigan restaurants with waterfront dining. The Pier’s bay-front dining room buzzes within an orbit of trays laden with ice-cold martinis and briny cold-water oysters nested in crushed ice. In sight of gleaming motor yachts, sailboats and vintage lobster tugs bobbing in the blue-green ripple of Little Traverse Bay, the Pier’s recent remodel brings teak accents, polished brass fixtures and bright nautical flags to blur the border between land and water. In the kitchen, Chef Rob Sargent and his culinary team execute resort classics like cedar-planked whitefish with piped duchess potatoes, sautéed perch with tomato caper beurre blanc and mammoth dry-aged rib-eyes. At the Pier’s adjacent Dudley’s Deck, the expansive al fresco patio is flush with seersucker-clad summer folk soaking up a distinctive Gatsby vibe while sipping housemade sangria and proprietary Bloody Marys surrounded by Harbor Springs’ centennial summer mansions. Settle in at the raw bar with a platter of fresh-shucked oysters and yellowfin tartare, and then sit down to views of Bowers Harbor, and savor smoked elk rack with chorizo hash or five-spice duck breast. 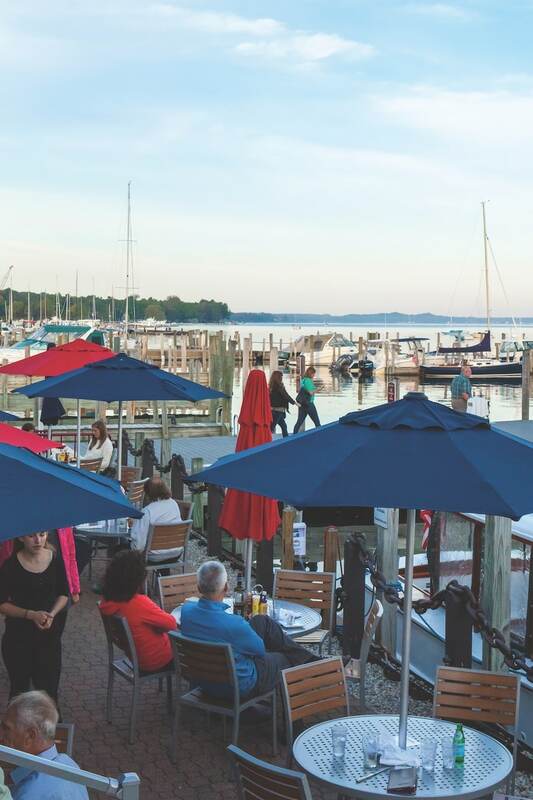 Tie up the boat and chow down on Old Bay–dusted Beach Fries, New England lobster rolls and ancho-rubbed hanger steak at this newly expanded Lake Charlevoix watering hole. Take a look inside The Landing, which was recently renovated! A soaring lighthouse-inspired ceiling dome and 360-degree windows look to Lake Charlevoix. Porter Creek’s menu is fish-centric with pan-fried local whitefish atop jicama apple slaw and seared sea bass with pineapple mango salsa. Fried pickles and hand-spanked burgers, like the spicy Daredevil, complement a Jimmy Buffet soundtrack accented with icy craft brews and eyefuls of Torch Lake’s prismatic aqua depths. This luxe, darkly upholstered dining room on Walloon Lake offers a trophy wine list and seasonal haute cuisine like sous vide duck breast with beet gastrique and caramelized broccolini. Traverse food and drinks editor Tim Tebeau writes from Petoskey. dining@ traversemagazine.com.